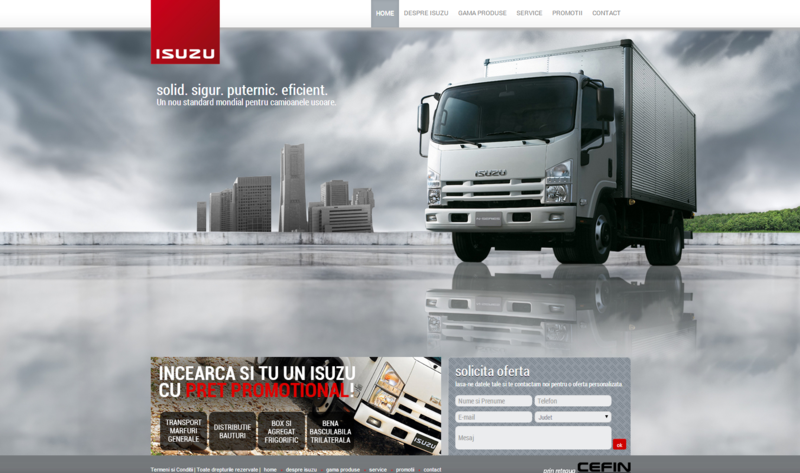 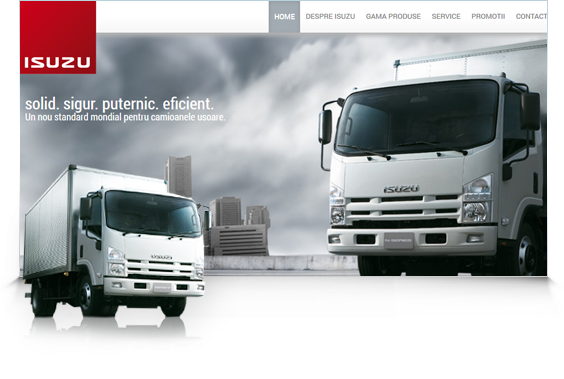 Cefin Isuzu in one of Cefin Romania divisions, selling new Isuzu commercial vehicles (trucks, vans etc). 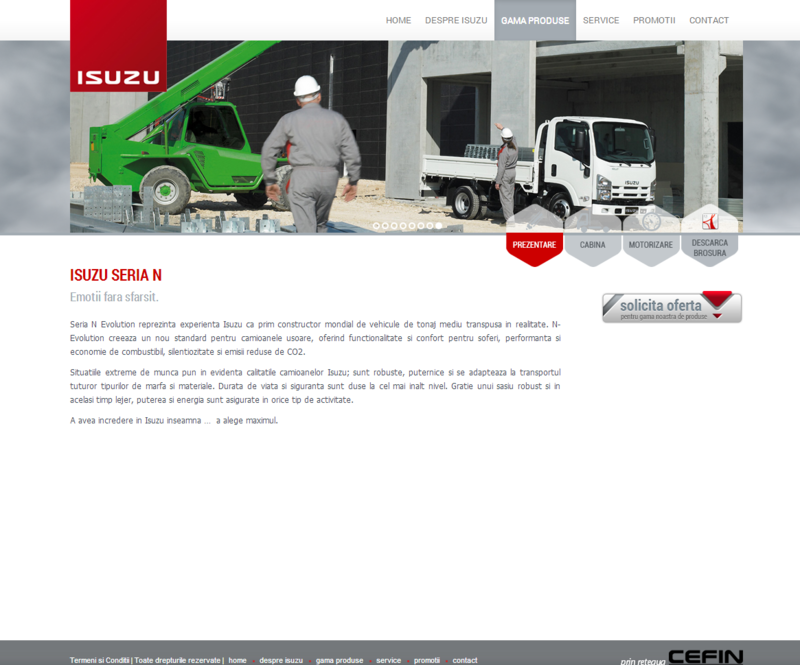 The website in a great presentation tool of the vehicles, it's attractive design enhancing the great product advantages for its public. 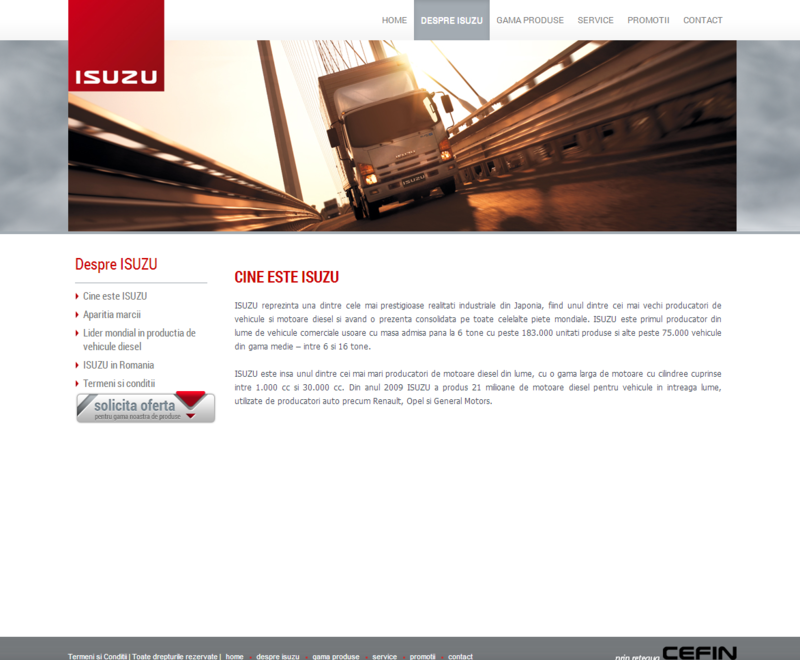 Shortly after the launch, the website is one of the most important offer requests, also contributing to the brand awareness increase in online regarding dealership of new commercial vehicles.